If anyone is looking to come and play some competitive pinball tonight Main Street Amusements has you covered! Come and get your WPPR points as we are coming down to the finish line to qualify for the state finals. $1 Entry fee, 4 player groups, 4 strikes format. 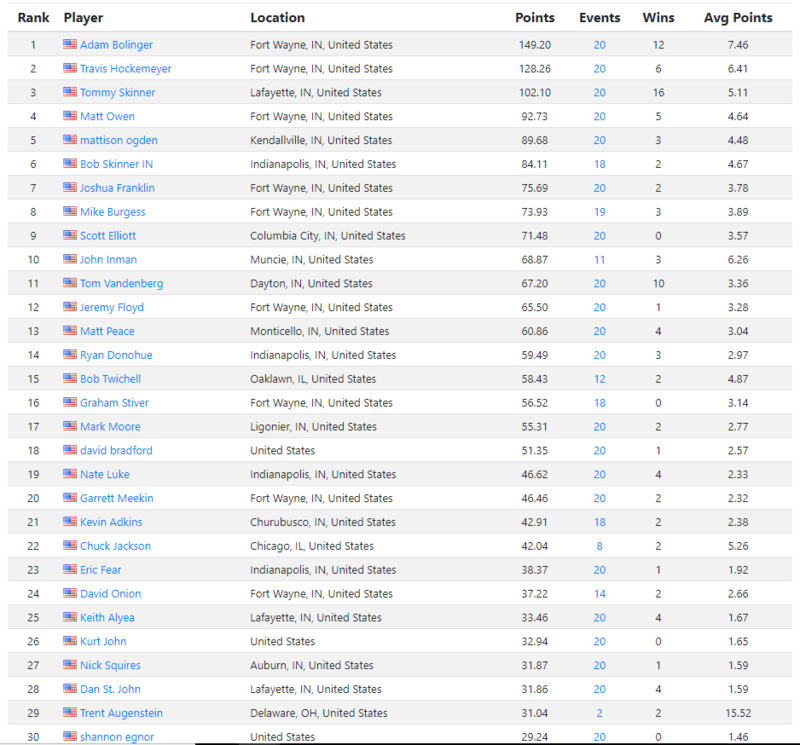 Here are the current Indiana NACS Standings. The top 24 get to play at state on January 19th, 2019. If anyone turns down their invitation from the top 24 then we move down the line.